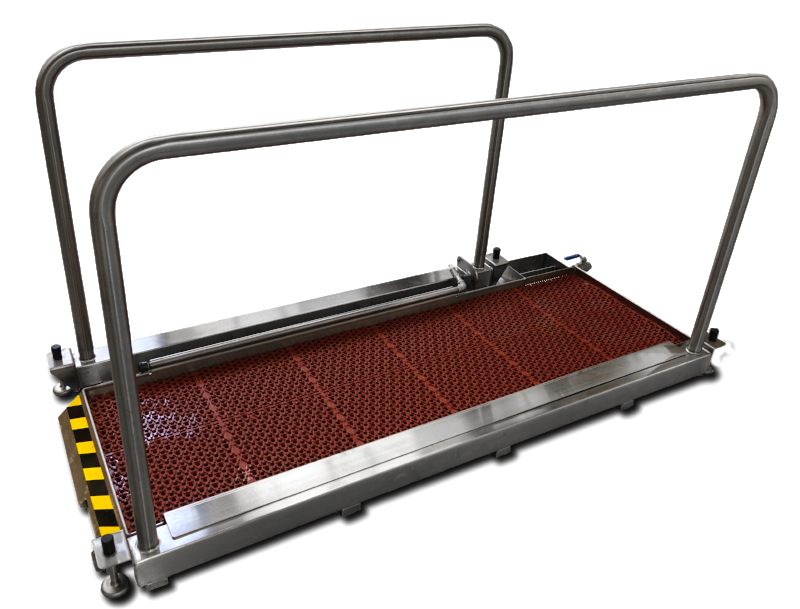 The XFA Footwear Sanitation System is a fully automated walk-through sanitizing pan for any type of footwear. It is best for use in food production facility entrances, production areas and other environments where fast but effective footwear hygiene is critical. Water Inlet: 3/4" male garden hose fitting, maximum temperature 90⁰ F 20–40 PSI operating pressure — 50 PSI maximum. Pressure regulator not supplied with system.